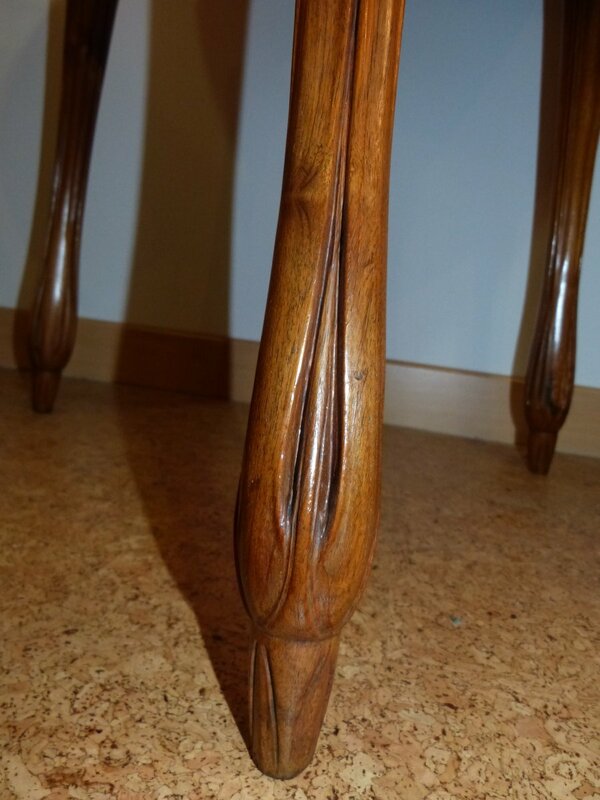 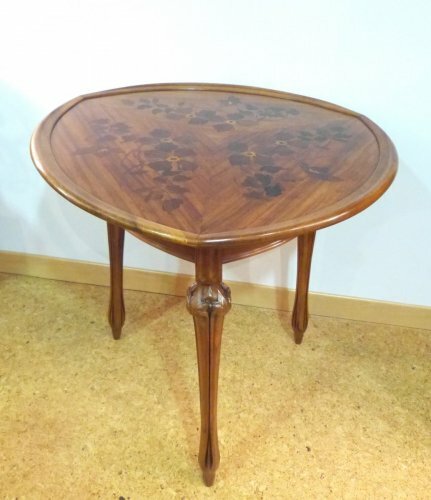 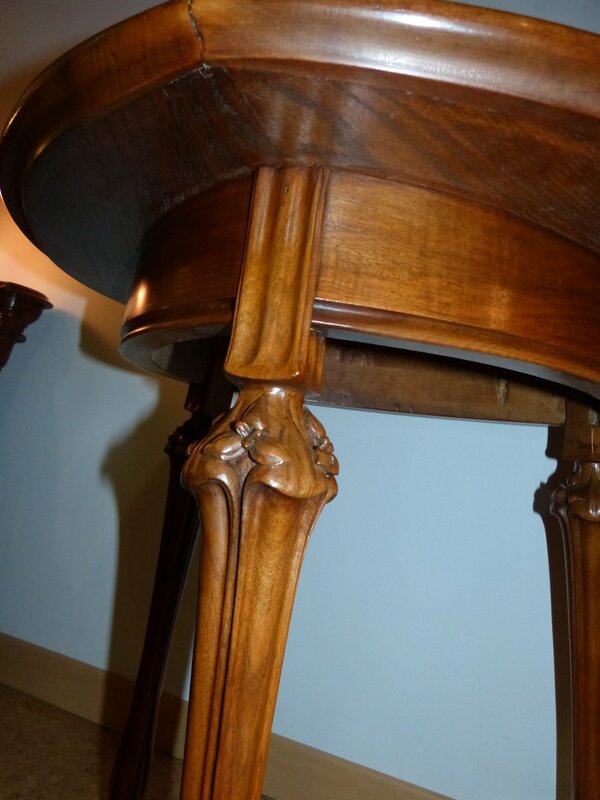 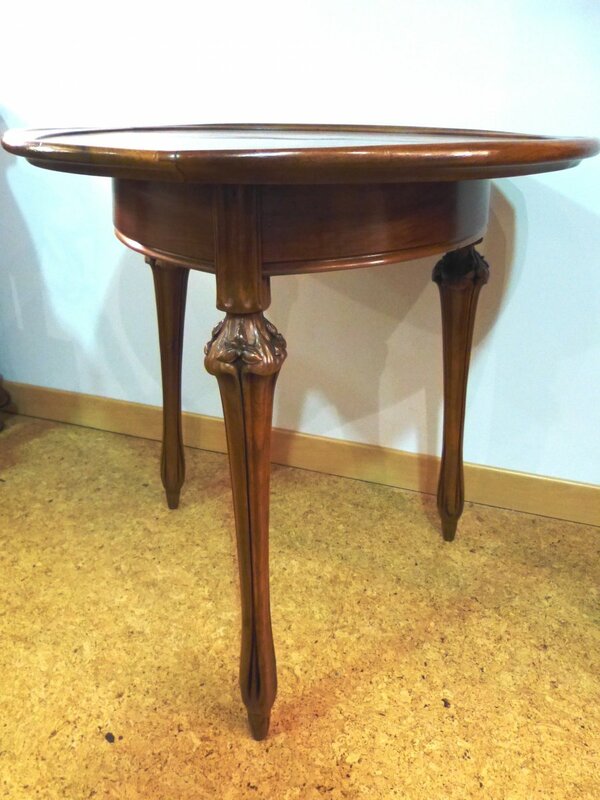 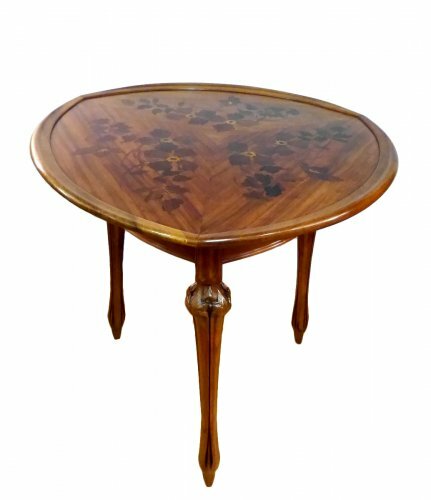 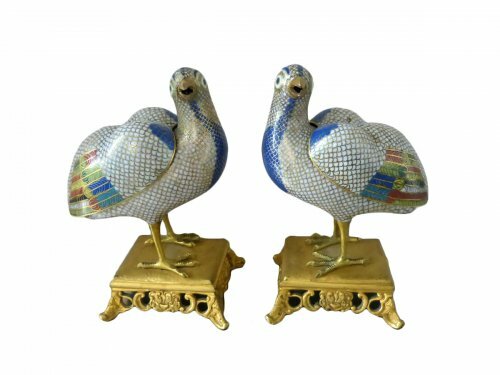 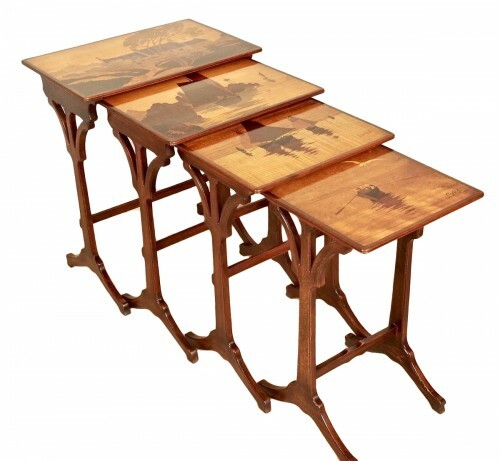 Beautiful pedestal table Louis Majorelle, leader of the school of Nancy with Emile Gallé. 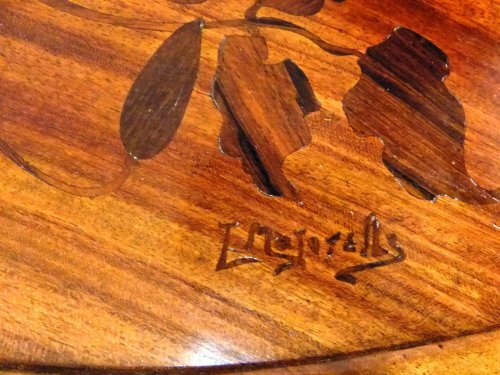 Trilobed tray decorated with clematis. 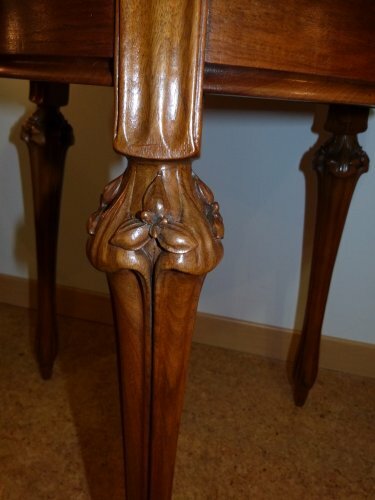 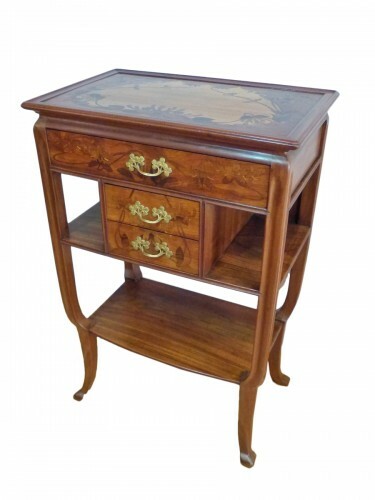 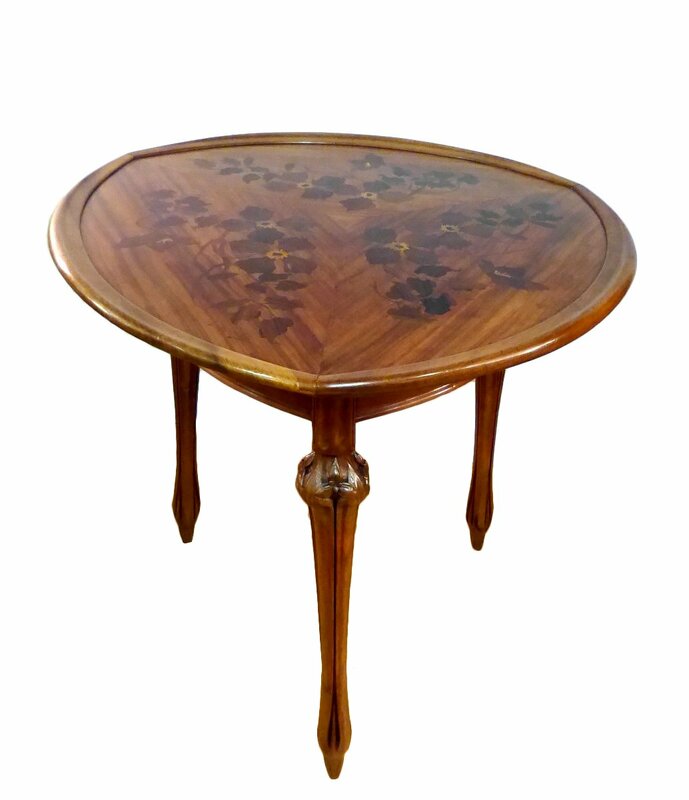 Beautiful naturalistic base, walnut carved with Orchids. 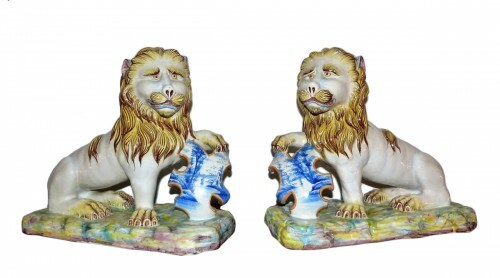 Signature inlaid in the decoration on the plateau: L majorelle.